This sculpture is located on the south western side of the main house looking towards the main gate. The figure is standing on a pedestal, which emerges from a raised garden bed. 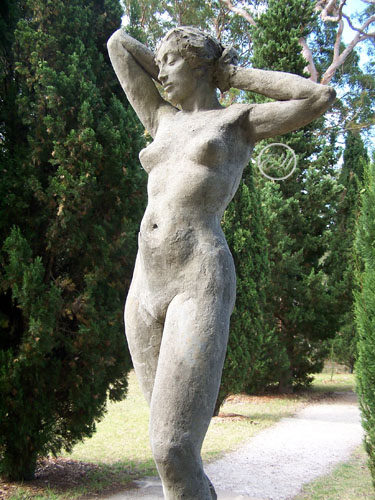 This work is believed to be the second sculpture built by Norman Lindsay in the garden. The garden bed below the figure has always been planted out with low growing perennials.